It is the season in London when the debutantes "come out". Parties, luncheons, and other events abound. Even Lady Alleyn has agreed to "bring out" her grand daughter Sarah. Meanwhile, her son Roderick, an inspector at Scotland Yard, has a case of blackmail involving the London elite brought to his attention. It seems that someone is trying to blackmail Lady Halcut-Hackett who has a secret which she desperately wants kept from her husband. Roderick Alleyn calls upon Lord Robert Gospell for assistance. Lord Robert, "Bunchy", has been of assistance to the Yard before because he has good sleuthing skills. He is a charming man, much appreciated by the upper class set, and a good friend of Alleyn. Lord Robert agrees, and goes to a concert where Lady Halcut-Hackett leaves the money for the blackmailer. Lord Robert sees the hand of the blackmailer and believes that it belongs to Dimitri who is the caterer for many of the big society events of the social season. Lord Robert then goes to the ball which Lady Carrados was giving for the coming out of her daughter Bridget O'Brien. This ball, catered by Dimitri, is a rousing success. The champagne flowed, the dancers danced, and everyone was highly satisfied with the event. Lord Robert kept his eye on Dimitri and the guests. When he made a phone call to the Yard to report on his progress, his call was interrupted by someone coming into the room who may have heard what he was saying. Lord Robert was one of the last to leave the ball. He left the house into the foggy night and he and another man got a taxi. The other man left the cab first, and the driver drove on to Lord Robert's house and when they arrived, the driver discovered that Lord Robert was dead. He had a blow to the head and had been suffocated. Roderick Alleyn was quite upset by the death of his friend, and vowed to find the murderer. The cab driver could not identify the other man in the cab. Alleyn and Fox undertook a series of interviews with those who had attended the ball. It seems that Lord Robert's nephew Donald had gotten in with a bad crowd and was deeply in debt. Lord Robert had agreed to pay some of his bills if he straightened himself out, but Donald still needed more money and he was one of Lord Robert's heirs. In his interviews, Alleyn finds another case of blackmail, an illegal gambling house, and eventually the solution of crime.. 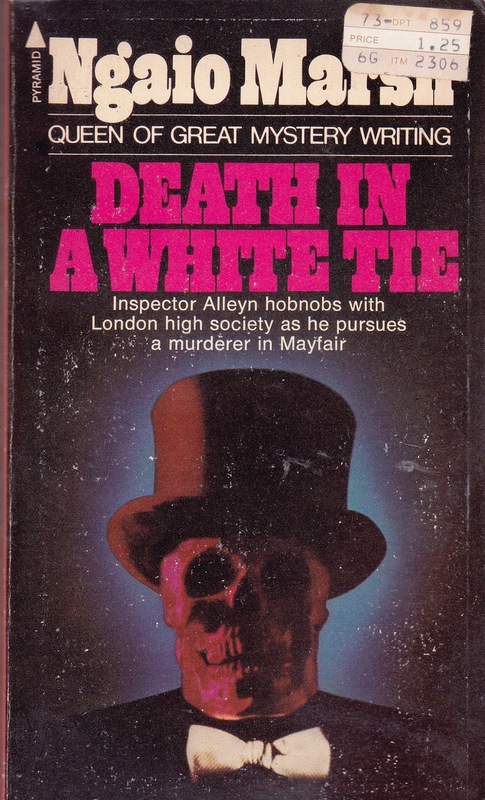 It should be noted that one of the attendees at the ball was Agatha Troy, the artist who would in the future, would play an inportant role in Alleyn's life. 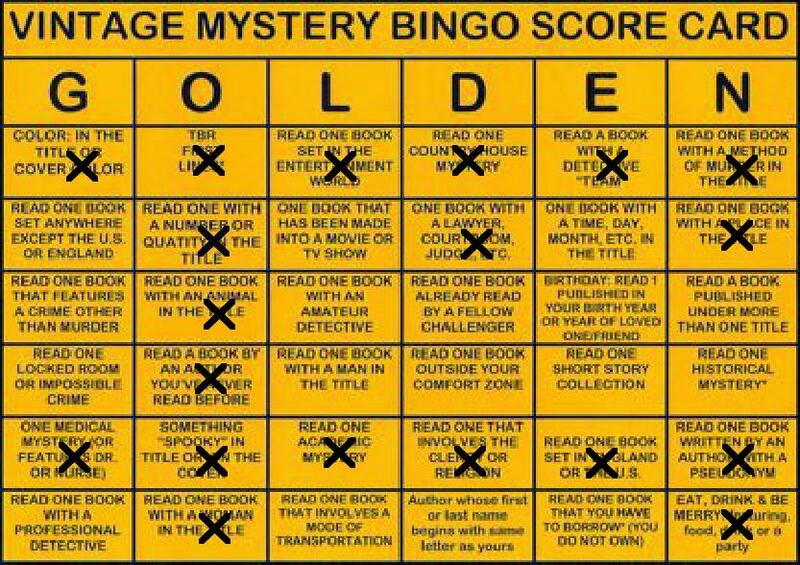 I am a great fan of Ngaio Marsh, and enjoyed this book even though the interviewing process does seem to go on a bit long. This book was published in 1938, and is still available in print and as an e-book. 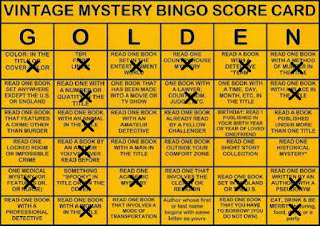 I have read this book for the Golden Vintage Mystery Challenge, 2015 in the category of a book featuring a party. This is one of my favorites by Marsh. I like the way Alleyn takes Bunchy's death so personally. Sometimes that can cloud a detective's vision on a case, but I think it makes Alleyn all that more human.